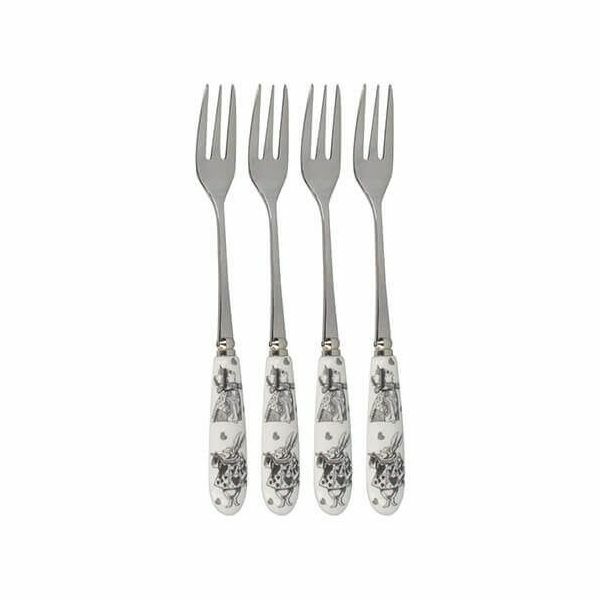 This set of 4 Alice in Wonderland pastry forks are made with high quality stainless steel and porcelain handles. 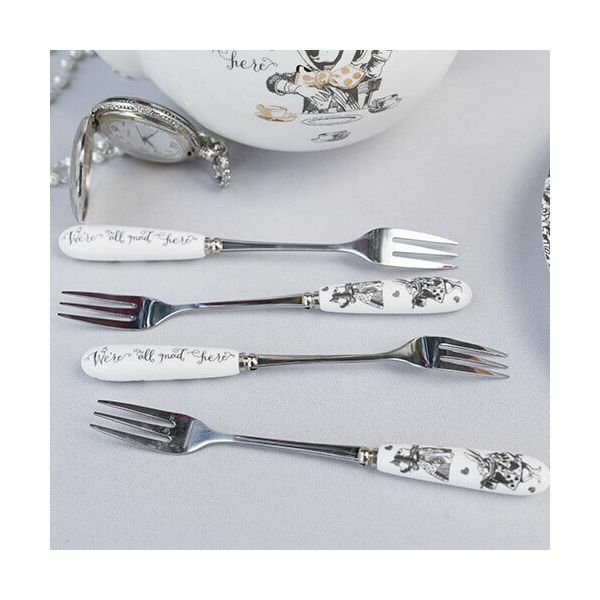 The handles are decorated in beautifully hand drawn illustrations, featuring the Queen of Hearts and the White Rabbit and features the quote 'we're all mad here'. 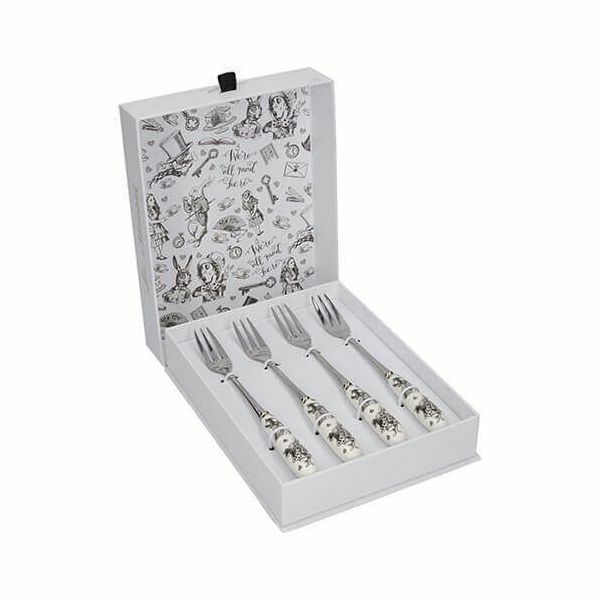 The set of four pastry forks are presented in a luxuriously illustrated matching gift box, with a 'pull me' tab to let the adventure begin.